The twenty-first century began with big expectations of discoveries; especially by scientists who allied to new technologies have access to advanced instruments to unravel many challenges to the health sector. On the other hand, we still live with many myths that sustain themselves in different cultures, determining questions about science itself, but serving as a counterpoint to further stimulate researchers to seek more consistent responses, both for their hypothesis and for the findings already available. Neurosciences represent areas that can benefit from these advances to make their discoveries, always seeking to reinforce or modify existing concepts. One of the points that causes huge discussion refers to the Attention Deficit Hyperactivity Disorder approach, since most professionals involved in this task try to follow the scientific evidence from official publications. Thus, if a child shows signs and symptoms above those expected for her/his stage of development, fitting into the pathophysiological model of the disorder; she/he should be instructed to undertake an overall treatment program. 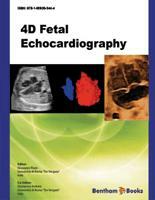 These considerations reinforce the need for a diagnosis, as detailed as possible, for the existence or not of this disorder, and these procedures must necessarily pass by a multidisciplinary team with critical insight from all areas, allied to the essential information provided by the educators. This work begins with the genetic basis for the understanding of ADHD, in particular, two cardinal points which are language and learning, which has a large intersection with attention disorders. According to Nicolelis, “the brain is a symphony orchestra in which the instruments are changing as they are being touched”. This shows the importance of the integration of different brain areas, which were discussed in the following chapters, because the neurotransmitters involved in the etiology of ADHD work in various functions and the concept of neuronal plasticity is directly related to learning, promoted by stimulation of neuronal circuits. At this point, a flawless condition is created so that authors can discuss interventions for individuals with ADHD, always guided by the multidisciplinary vision. In the current concept of intervention, the effectiveness of actions is greater when all participants are involved, creating the concept of psychoeducation for the treatment of ADHD, which is discussed in the last chapter with guidelines for parents and teachers involved with these children and adolescents. 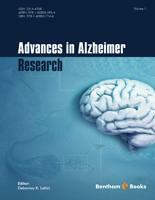 I cannot forget to congratulate the authors not only by the scientific nature they dealt with the topic, but also due to the importance attributed to the multidisciplinary approach, because we live in a period of contextualization of development disorders, and we need to precise whether they correspond to transitional difficulties or brain disorders reversible or not of the cognitive functions. Understanding the issues that affect the students in the literacy process is not an easy task for health professionals and education professionals, either to accept the challenge of organizing an ebook that addresses the issues involved and that permeate academic learning. The Attention Deficit Hyperactivity Disorder (ADHD) is a genetic and neurological condition that compromises the academic performance since the early literacy. This information should be discussed in an educational context, due to the impact of the lack of knowledge about the cognitive-linguistic difficulties these students generate the commitment in the academic and social quality life of them. 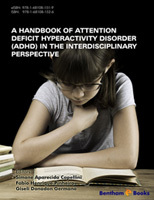 The aim of this e-book is presented in ten chapters with the interdisciplinary perspective of Attention Deficit Hyperactivity Disorder (ADHD). Therefore, in organizing this e-book, we think about how it would be possible, through our experience with the care of students along with attention and learning disorders complaints in the Investigation Learning Disabilities Laboratory at the Speech and Hearing Sciences Department – São Paulo State University “Júlio de Mesquita Filho” – UNESP – Marília - São Paulo – Brazil, to assist educators and health and education professional to broaden their knowledge of the clinical and educational characteristics of students with ADHD.